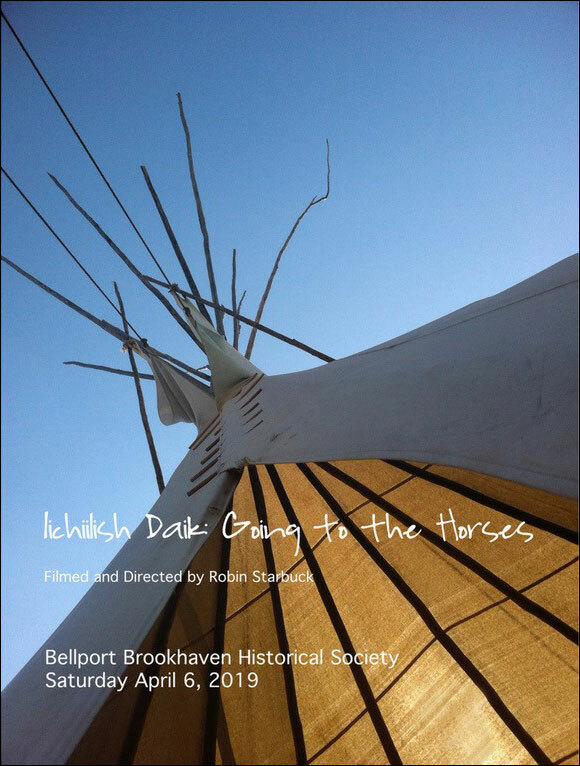 The Bellport-Brookhaven Historical Society's next installment in their "Authors and Artists Series" will feature Robin Starbuck and her film, "Iichiilish Daik: Going to the Horses" on Saturday, April 6th at 5:00pm. A Bellport native, Robin Starbuck is a documentary filmmaker and professor at Sarah Lawrence College. Her film, "Iichiilish Daik: Going to the Horses," follows Charlie Real Bird and his cultural and tribal like as a horse breeder and elder of the Crow tribe; as well as Robin's journey from visitor to adopted daughter of the Real Bird family. The screening will be followed by a talk and reception and will take place at The Brown Building. Tickets are $20 per person and include a wine and cheese reception following the film screening.